Vogue recently wrote about planning a road trip to Utah’s most stunning natural sites, and it seems only right to highlight some of productions that have filmed at these show-stopping locations. ST. GEORGE: with its year-round warm weather, palm trees and iconic red rock and proximity to Zion National Park, St George is popular with locals and tourists alike. ZION NATIONAL PARK: one of the ‘Mighty Five’, known for its steep red cliffs, scenic canyon drives, ‘Narrows’ hike and Emerald Pools. 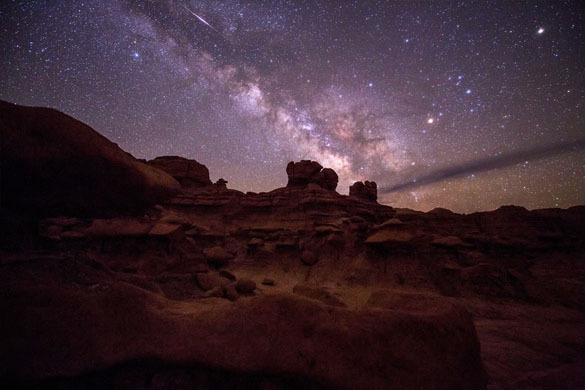 GOBLIN VALLEY STATE PARK: recognized for its other-worldly appearance and described by Vogue as “one of Utah’s most underrated gems”. DEAD HORSE POINT STATE PARK: featuring a dramatic overlook of the Colorado River and Canyonlands National Park.